Mueller: "We very much respect the cartel law." STUTTGART -- German carmakers being investigated over possible collusion did not engage in price fixing or an illegal cartel, Volkswagen CEO Matthias Mueller said Wednesday. European Union antitrust staff have raided Volkswagen, Daimler and BMW as part of an investigation into whether they conspired to fix prices in diesel and other technologies over several decades. "I have no knowledge of price fixing," Mueller said at a conference in Stuttgart. "We very much respect the cartel law." Mueller's comment chimes with remarks made by his counterpart at Daimler, Dieter Zetsche, who told the conference late on Tuesday that cooperation among German rivals was for the good of customers and had not harmed them. The EU's competition watchdog said in July that it was investigating German carmakers in response to a tip-off after Der Spiegel magazine reported that Daimler, BMW, VW and its Audi and Porsche arms had colluded to the detriment of customers and foreign rivals. 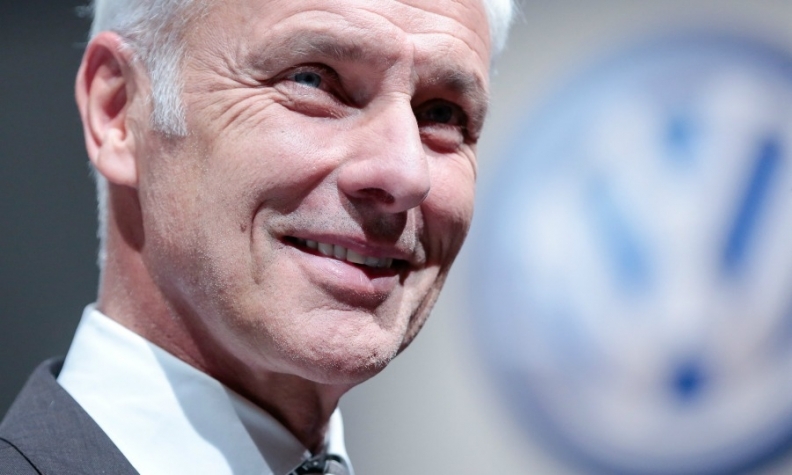 Mueller said the German carmakers had cooperated on standardization issues under the leadership of Germany's VDA industry lobby, without being more specific. Also on Wednesday, Mueller said VW could live with a Chinese compromise on electric vehicle quotas to combat air pollution. Beijing wants electric and hybrid cars to make up at least a fifth of China's auto sales by 2025 and plans to loosen joint-venture regulations to achieve its aim.